HotHands Made in Dalton - Who Knew? Home Lifestyle Rhea County Outdoors HotHands Made in Dalton – Who Knew? HotHands Made in Dalton – Who Knew? 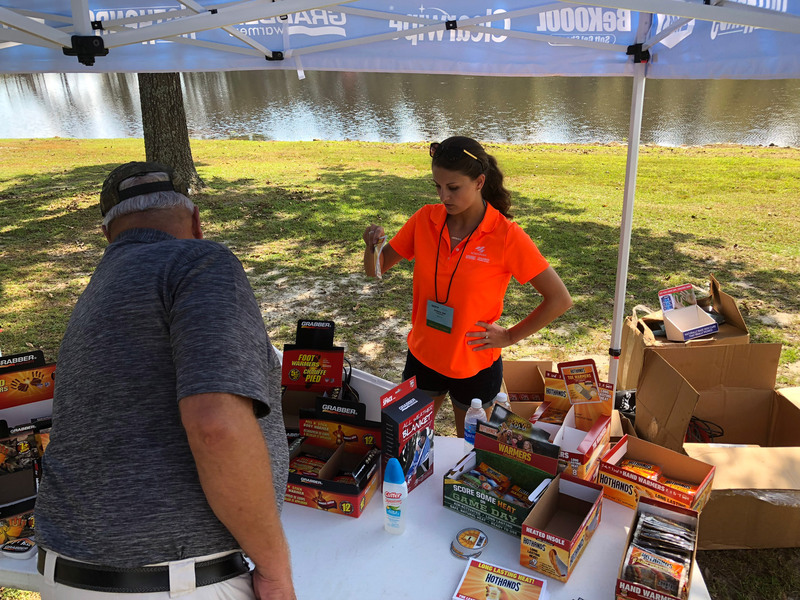 FLORENCE, SC – There I was, recently wandering around what is called “Breakout Day” at the annual conference of the Southeastern Outdoor Press Association in Florence, South Carolina. That is the day various outdoor retailers and manufacturers set up booths and show off their wares to outdoor writers from across the country. Brittany Self lit up with a bright smile that made it clear why she was chosen to represent HotHands. 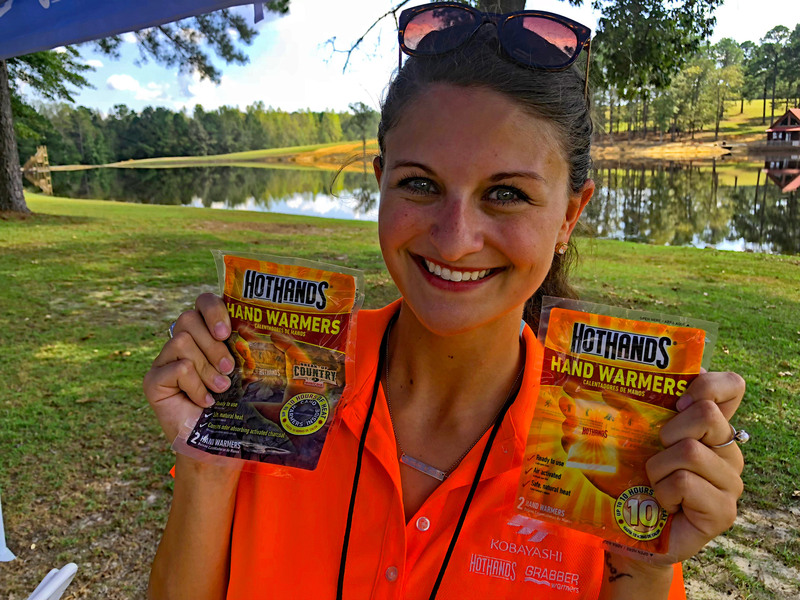 The young UTC graduate has been the Marketing Coordinator for HotHands and the company’s other products for just over a year. The company, originally known as Heatmax, was born in 1989. Around 2005 they were bought out the Japanese-based parent company, Kobayashi. However HotHands, Grabbers and several other products are manufactured and marketed out of the U.S. headquarters in Dalton because of what the company described as “its great workforce and logistics infrastructure.” More recently Kobayashi bought out a competitor called Grabber. It was the equivalent of the Bass Pro buyout of Cabelas. While they are virtually the exact same product, Self said they do continue to market Grabber and HotHands differently. She says there are about 200 employees in Dalton cranking out the disposable hand warmers. 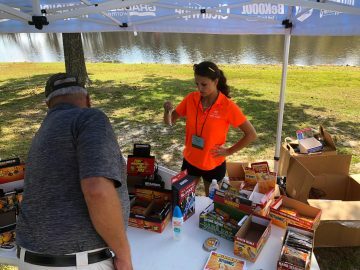 Her job is to keep up with the company’s social media accounts, coordinate displays and donations for major trade shows and sporting events along with occasional appearances at grand openings and other major events. Which should help her better sell HotHands and Grabber. More specifically, make that Dalton-made. So when you buy those Christmas stocking-stuffers for the outdoor types in your family, now you know you’re supporting a product, and other families, from your own backyard.